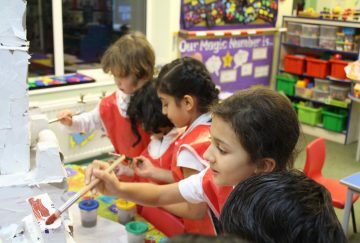 The children in Construction Club at the Infant School have been very busy over the last few weeks. 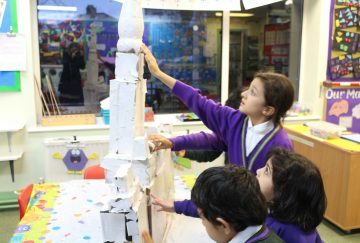 They have had the opportunity to enter ‘Honor’s Big Build Competition 2018’. This is in connection with Laing O’Rourke, a construction company who are making links to the local community. 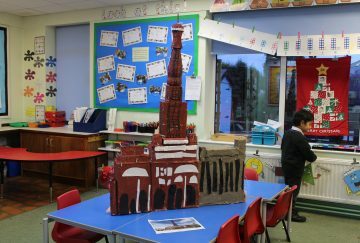 The children had to choose a famous or fictional structure to make out of recyclable materials. 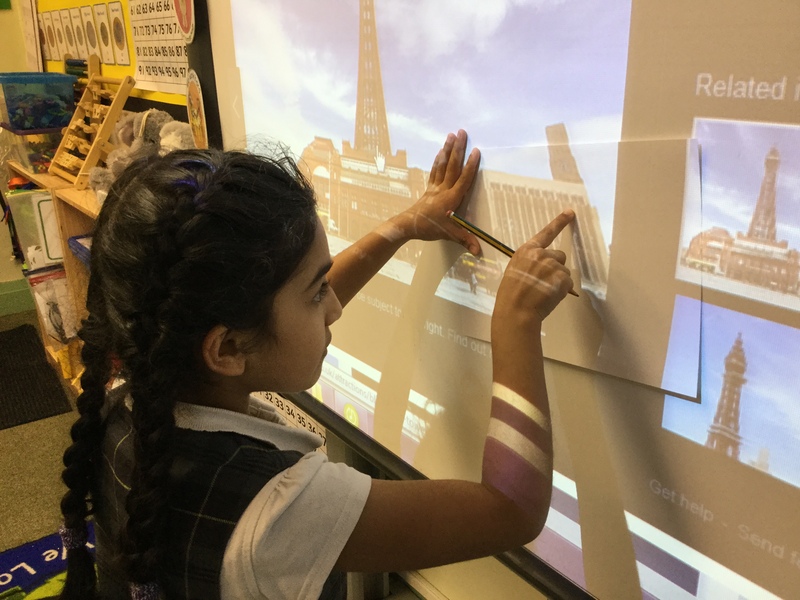 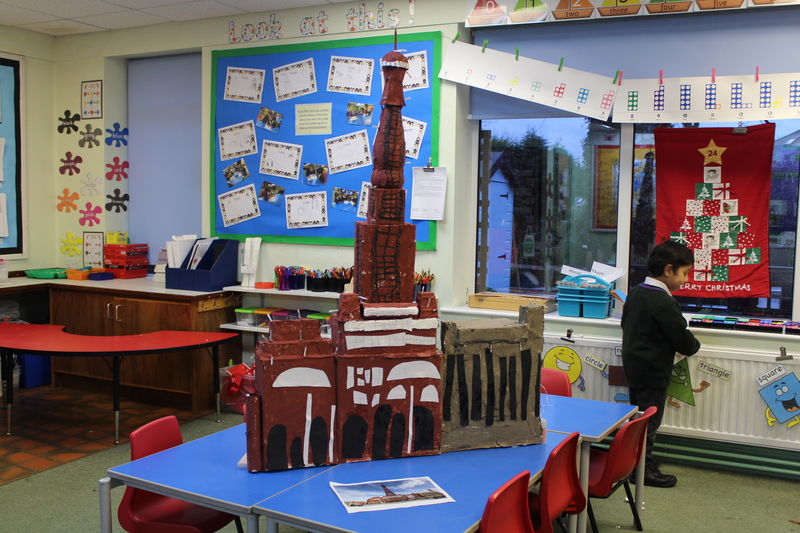 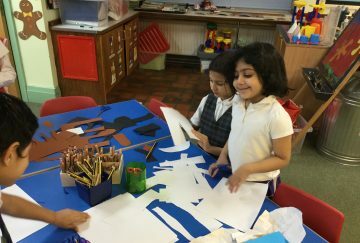 They decided to make Blackpool tower and the surrounding buildings. 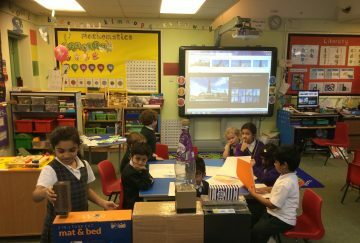 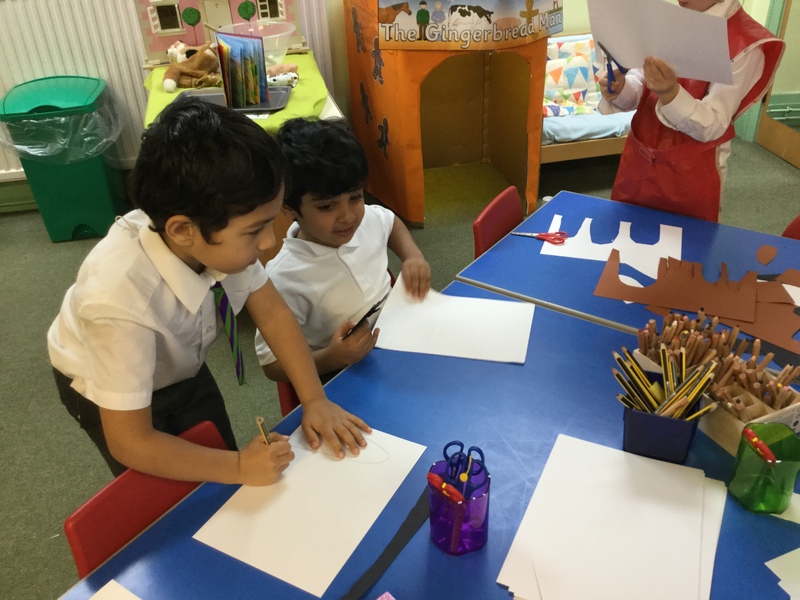 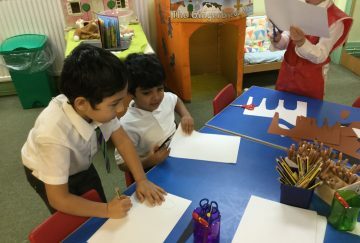 The first stage involved finding pictures of their chosen structure. They then sketched what the design would look like before finding boxes to build the base of the structure. 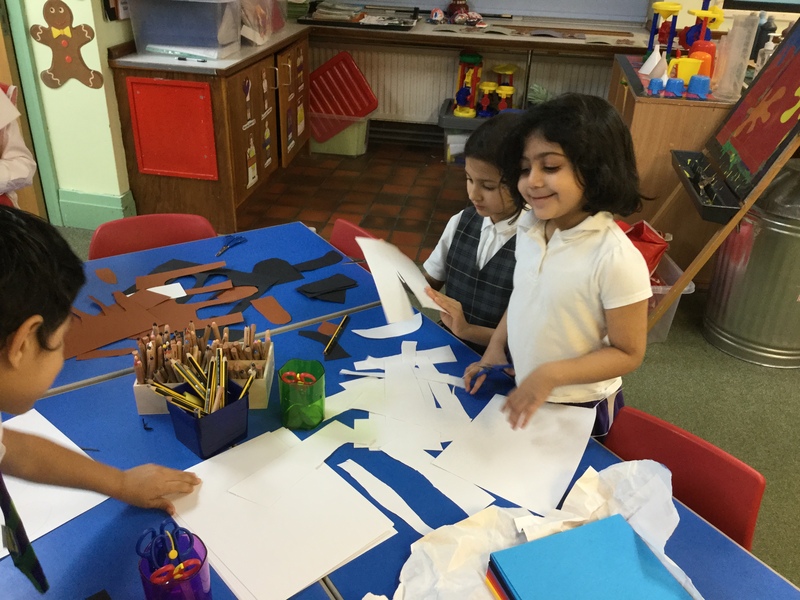 The children particularly enjoyed the next stage which involved using paper mache to cover the boxes. 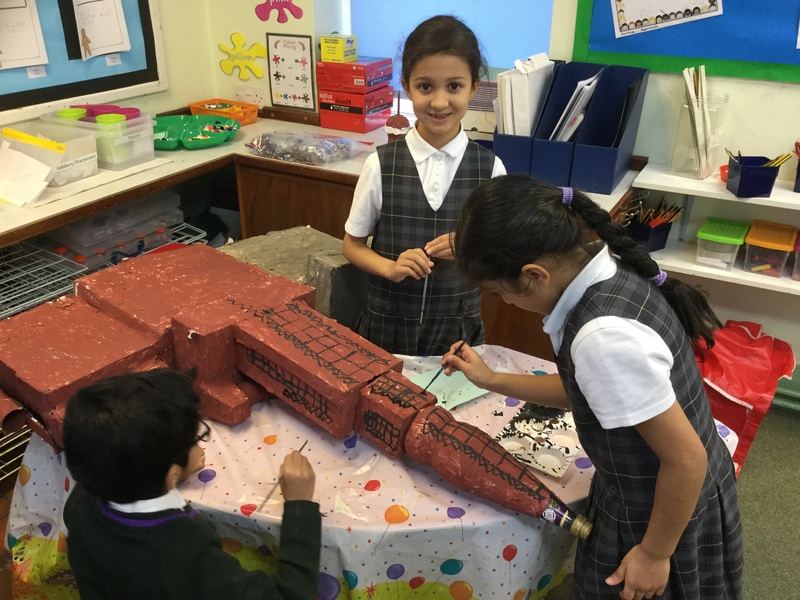 After this they painted the structure and the design started to take shape! 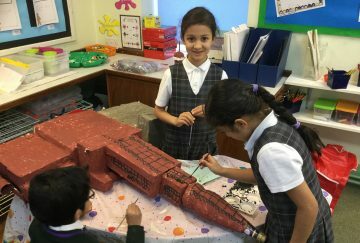 They added finishing touches to the model by using paper and card for the features of the front of the buildings. 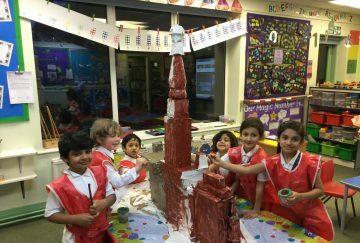 They also took great care to paint the details of the tower and loved adding some sparkle by attaching mini-fairy lights. The children worked very well together as a team and welcomed Mr Lowles alongside his colleague from Laing O’Rouke to Construction Club after school on Thursday to talk about their ‘Big Build’ experience. 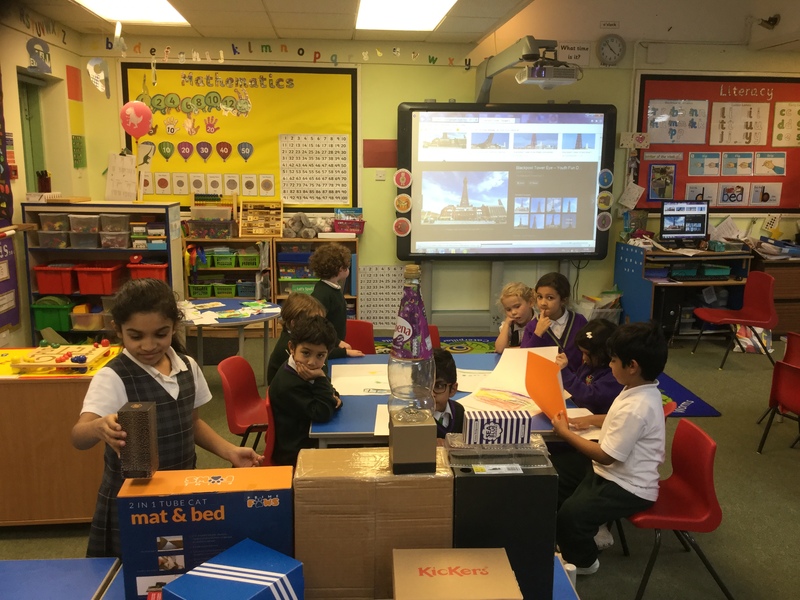 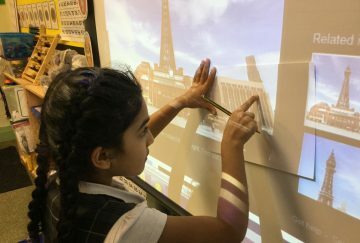 Mr Lowles and Amy shared pictures from their current building project and discussed how the processes they follow are similar to those we completed just on a larger scale. 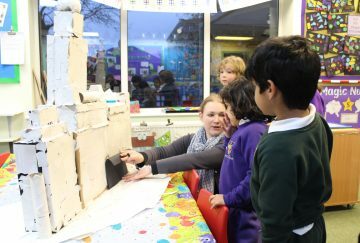 The children had lots of questions about the building project and enjoyed having the opportunity to speak to real Construction Engineers. 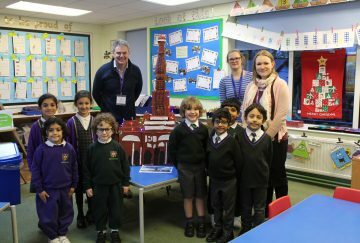 Construction Club would like to thank Mr Lowles, Amy and Laing O’Rourke for helping them to take part in the Big Build Competition. 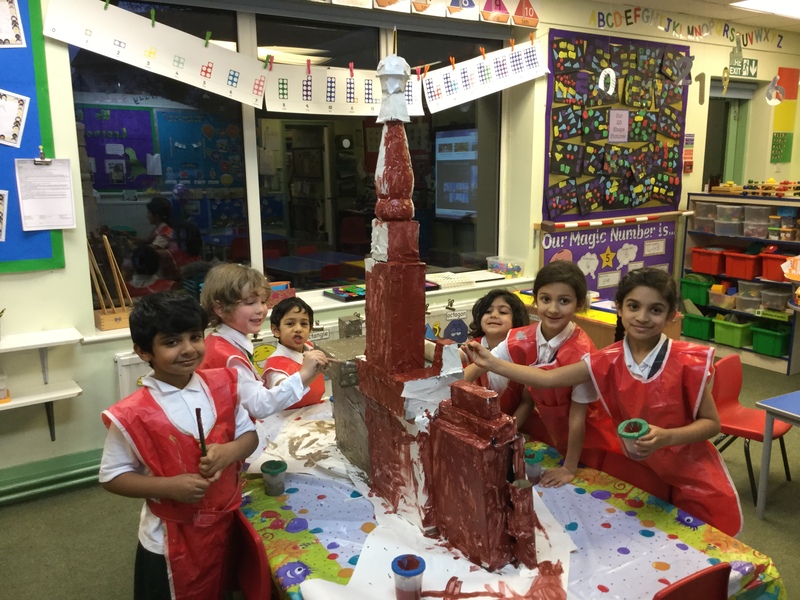 It is certain that whatever the outcome all of the children have had a lot of fun taking part in this exciting opportunity!